4) Select your Recording Mode. To record on the highest possible setting, set you camera to Manual on the top of the camera next to the zoom function. "M" stands for manual. Touch FUNC -> MENU -> Film Strip Icon -> Scroll to Movie Format -> Select AVCHD for the highest quality or MP4 for easy upload to the web. 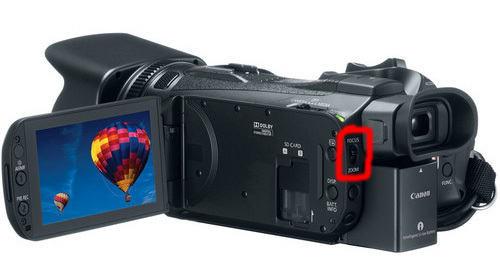 The Canon VIXIA HF G30 comes equipped with two SDHX Card slots where you can add up to a 2TB Card into each slot. We recommend the Campbell Cameras 64GB Class 10 SDHC Card for each slot. - Insert your SD Card/ Cards into the slot with the camera turned off. Then turn on your video camera. If you are using the SD cards for the first time and/or you no longer need ANYTHING on the SD Card, it is good practice to Initialize (format) the card. Next you need to let the camera know where you want to record your videos and photos too. If you use Digital Zoom, your video and photos will start looking pixelated and have that grainy look. This is not quality video and so we always turn this off. New to the Canon VIXIA HF G30 is the option to change the control of the manual ring from controlling your focus to controlling your zoom. The control is a switch on the back of the camera. To control your zoom with the manual ring, you select zoom. To control the focus with the manual ring, you select focus. Manually controlling your focus allows you to get precise focus on your subject! The Canon VIXIA HF G30 allows you to film in full Auto mode, which means that the camera will automatically adjust various settings for you. To get full control over you camera and to get the best quality footage, you will want to run your camera in Manual Mode. 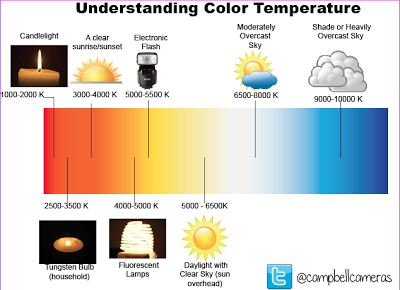 M (Manual Exposure) - You choose both the aperture and shutter speed. Aperture: Basically put, it is the size of the opening of the lens. Aperture is measured in F-Stops. The smaller the F-# the larger the lens is open. Shutter Speed: Simply put, it is the duration of the opening of the lens. Controlling your shutter speed effects the blur of object as well as the amount of light that gets to the lens. The Canon VIXIA HF G30 features 5 assignable buttons. OFF- allows you to turn off the assignable button. Means that this button will not get you anywhere. The Canon VIXIA HF G30 has a mini-advanced shoe mount and a universal shoe mount. The mini-advanced is towards the back of the camera, this allows you to plug in directly a Canon accessory or use the mini-advanced to to universal shoe adapter or multipoint adapter to plug in any brand of shotgun microphone or accessory. We recommend the Rode VideoMic Shotgun microphone to use with the Canon VIXIA HF G30. We would recommend mounting the microphone to the mini-advanced to universal shoe adapter on the back mini-advanced shoe. This gives you room to mount a wireless receiver on the front shoe. The Canon VIXIA HFG 30 comes with only 1 mini-plug port, however, you can get the wireless microphone audio package and it will give you everything you need to hook up wireless microphone to your camera! This allows you to record audio from your shotgun microphone as well as directly on your subject. The Canon VIXIA HF G30 allows you to use bluetooth to enable your ISO or Android device. To control it from your device, open up your wi-fi settings and turn it on, then connect to your camera. You can now control your camera through your device! LANC remote. We recommend using the Varizoom VZ Rock- Rocker LANC remote. These LANC remotes attach to the handlebar of your fluid head and allow you to control your camera without touching it. Less movement means a greater chance of capturing that Giant Whitetail on film! The white balance function helps you to accurately reproduce colors under different lighting conditions. You can use the presets for easy access or manually set it yourself! Peaking allows you to get precise control over what you are focusing on. 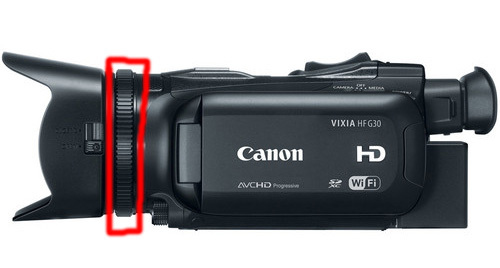 That's your basic guide to the Canon VIXIA HF G30! If you have any questions over anything here, or anything on the HFG 30 just comment below!